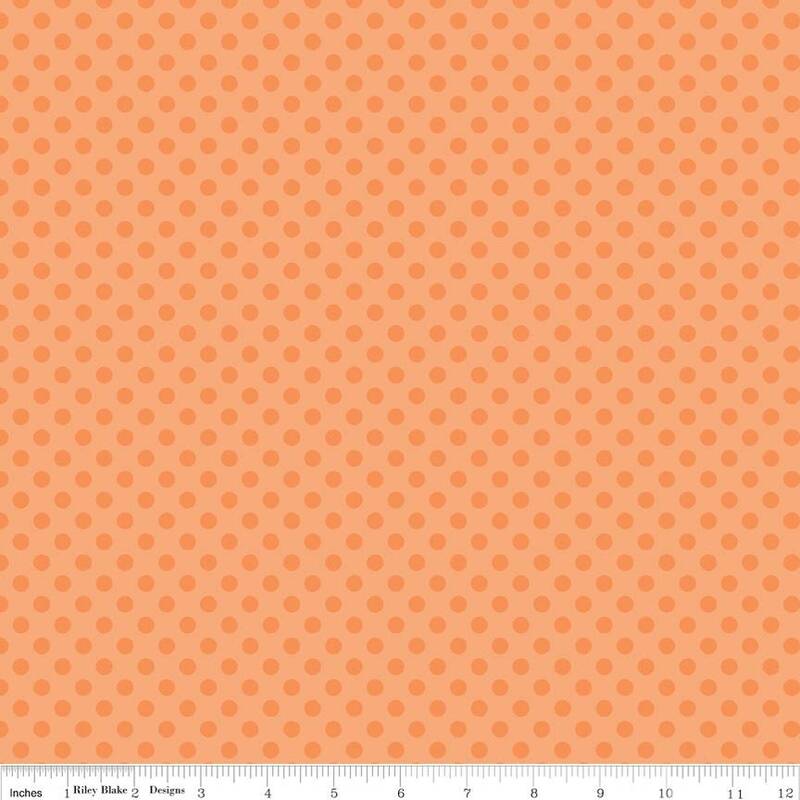 Riley Blake Designs "Small Dots Tone on Tone" by Riley Blake Designs. 100% cotton, pattern C420-60 Orange. Dots measure 1/4" in diameter.